Bless my wife, she organised a weekend away for Fathers’ Day at Avoca Beach, a sensational spot on the NSW Central Coast. 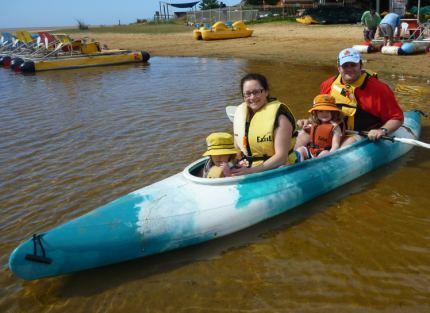 Apart from an amazing beach, it also has a great set of paddling lakes known, funnily enough, as Avoca Lakes. And there is a kayak hire place on the lake that does a range of boats, including stable bath-tubs for the most unsteady paddler. 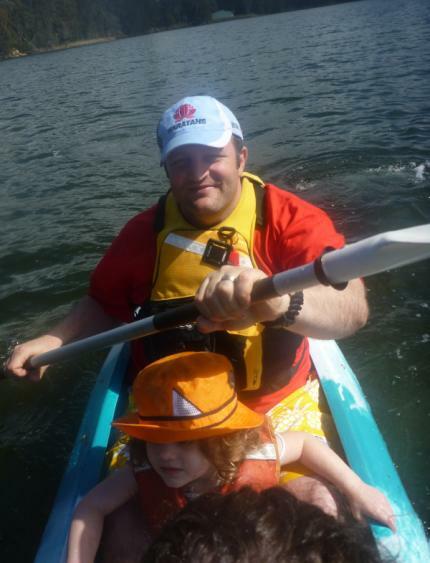 Perfect also for taking out my little girls for their first ever paddle. My eldest daughter (Grace, 3 years old) sat with me and marvelled at the pelicans, and jelly-fish, and anything else we saw in the lake system. My youngest daughter (Ella, 1.5 years old) was enjoying dipping her hands in the lake until my wife demanded urgently she remove them, which set Ella to tears for the next 15 minutes. You see, I had failed to point out to my somewhat paranoid wife that this lake is land-locked and free from noahs, so in her mind Ella was tempting the sharks to rise up and bite her hands off. 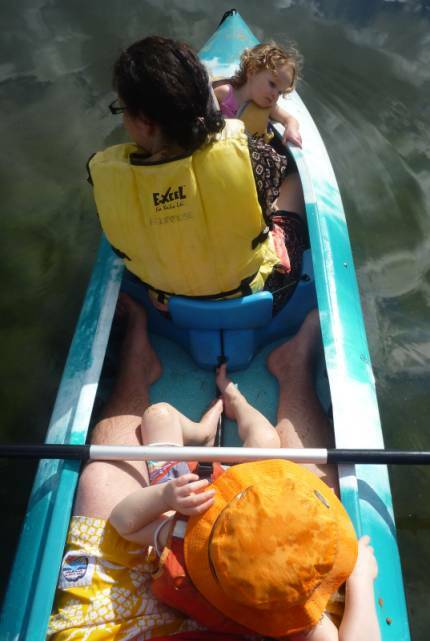 My wife was so worried in fact that she asked me to let her and Ella out early, leaving Grace and I to paddle for a while longer. It wasn’t until she was out and chatting to the kayak hire man that she realised there weren’t any sharks at all! Sure is nice to see photos of your family. 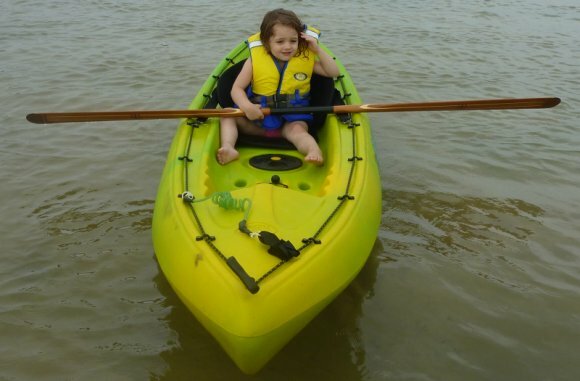 When will you be buying your girls their first kayaks? 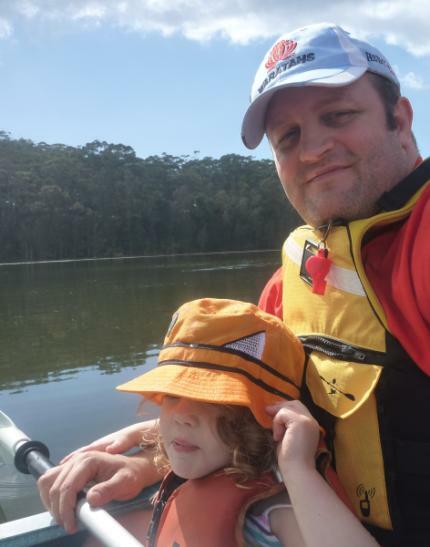 I took my girls down to narrabeen lakes this weekend hired 2 of those little plastic daggers and towed them round one at a time, they both loved it but my oldest (6) was paddling round on her own after 10 minutes to get used to it. If you stay close to the shop the waters pretty shallow so nice and safe for them.